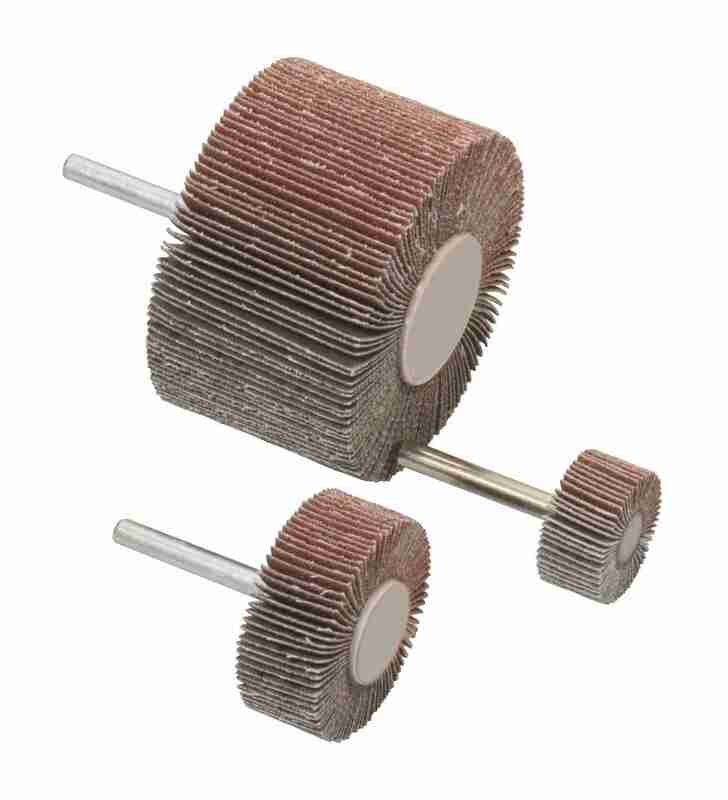 Applications: Spindle mounted flap wheels are for use in drill chucks or air tools with 6mm collets. The flexible sanding flaps give fast, but gentle removal of material including metal, rust, coatings and fillers. Max Speed: 30mm 22,900rpm, 50mm 13,700rpm, 60mm 12,500rpm, 80mm 8,500rpm. Flexible, durable cloth backed flaps. High grade aluminium oxide abrasive, ideal for use on wood, most metal and fillers. Available in coarse (grade 40) to very fine (grade 120). 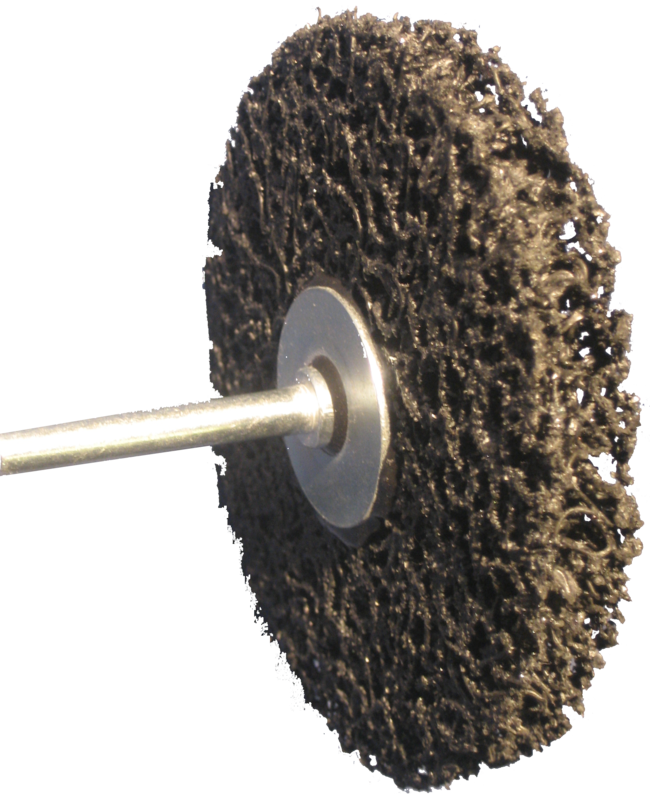 These spindle mounted stripping wheels can be put straight in to a chuck or collet for immediate use. Available in 100mm diameter.